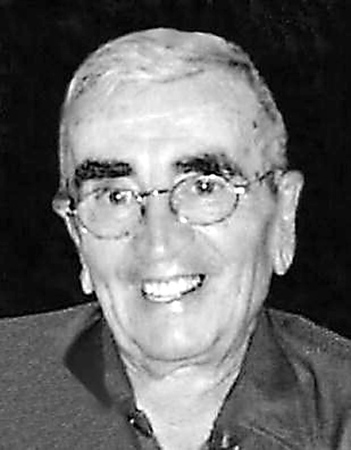 New Britain Herald - Michael S. Frugale, Jr.
Michael S. Frugale, Jr., 90, passed away on Feb. 1, 2019. He was born on Jan. 2, 1929, in New Britain, Conn., to Michael and Elizabeth (Martin) Frugale and remained a lifelong resident of New Britain. He retired from Stanley Works with more than 40 years of service. Mike enjoyed western music, old movies, playing guitar, setback with the Pace family, Yankee baseball, and UConn women’s basketball. He was also quite the yodeler and was our official family photographer, capturing many family events and memories. He leaves his sisters, Ruth (Dolly) DeMar, Delores Maglio and her husband, Mike, Janice Pace and her husband, Paul and Elaine Dorsey Golan and life partner, Malcom Pitts, and a special nephew, who was like a son to him, Larry DeMar and his wife, Patty. He was predeceased by brothers, Tommy and Louie Frugale, sisters, Rosaria Frugale, Rose Cordingly, and Betty Moore, and brother-in-law’s, Larry DeMar, Shelton Moore, and Bob Cordingly. He also leaves behind many nephews, nieces, and cousins as well as his best friend, John Belas and his wife, Penha. Funeral services for Michael will begin on Wednesday morning, Feb. 6, 2019, at 8:45 a.m. at the Newington Memorial Funeral Home, 20 Bonair Ave., Newington, followed by the celebration of the Mass of the Christian Burial at 10 a.m. at St. Ann’s Church, New Britain. He will be laid to rest in St. Mary’s Cemetery. Relatives and friends may call on the family TODAY, Tuesday, Feb. 5, 2019, from 5 to 7 p.m. at Newington Memorial. Those who wish may make memorial contributions to St. Jude’s Children’s Research Hospital, 501 St. Jude Place, Memphis, TN 38105. To leave an online expression of sympathy for the family, please visit www.newingtonmemorial.com .